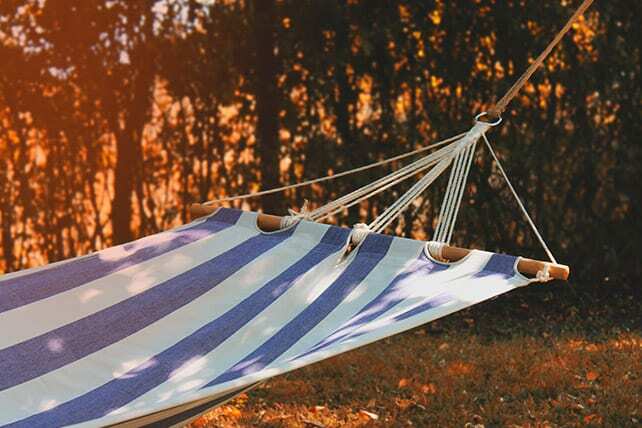 There’s a little phrase in Hebrews that has always had an incredibly attractive power to me: “So then, there remains a Sabbath rest for the people of God” (Hebrews 4:9 ESV). Rest. There remains a rest for the people of God. Christianity often feels like more stuff to do. But according to Jesus, the core of the Christian experience is rest. Dallas Willard says that most of us jump into the busy part of Christianity—serving our neighbors, being active in the church, keeping up with spiritual disciplines—but we skip the “rest” part, which is crucial to being able to accomplish any of the other stuff. Those most mature in Jesus are not those working hardest for him but those resting best in him. Until you learn to rest correctly in Christ, all of your work for Christ is going to be off. Moses explains the purpose of the Sabbath in two primary places: The first is in Exodus 20, when God gives the Ten Commandments: “Six days you shall labor, and do all your work, but the seventh day is a Sabbath to the Lord your God… For in six days the Lord made heaven and earth, the sea, and all that is in them, and rested on the seventh day. Therefore the Lord blessed the Sabbath day and made it holy” (Exodus 20:9–11). Sometimes the tyranny of life can cause us to disconnect from the purpose we were created for. And I can tell you as one who has run far down that weary road, this is the quickest way to live in misery. The Sabbath is a day to recognize that God didn’t create us to accomplish tasks but to be in love with him. That is our purpose. We weren’t created for a job. We weren’t created for our ability to produce. We were created, first and foremost, for God. On the Sabbath, we are just supposed to enjoy God and his gifts. It is one day to be rather than to do. No other society in ancient times took a day off, because survival was often a day-to-day, season-to-season affair. But God commanded his people to take a Sabbath because he wanted to remind them that he bore the true responsibility of providing for them. God has set up the world so that most of the provision we experience comes from the work that we do. Because of this, we can very easily begin to assume that we are the ones who bear the responsibility of taking care of ourselves. Like the other ancient cultures, we don’t think we can take a day off because our lives depend on being “on” every day of the week. But that kind of responsibility isn’t ours. God bears that responsibility—and so we take a day off each week to declare that. Sabbath is a counter-cultural declaration of trust. I don’t rest because everything is done. I rest because God has promised that if I do it, he’ll make up for the rest. Previous articleWhat Is the Most Underrated Spiritual Discipline?